Plastics and rubber materials, or polymers, are increasingly the first choice of engineers when reliable, cost-effective performance and safety are essential. The volume of polymers used in the Western economy now exceeds that of metals, which requires today's engineering students to have a thorough grounding in the properties and applications of polymeric materials. 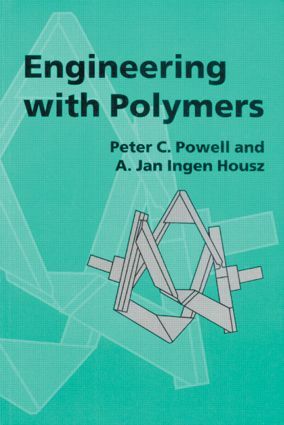 The first chapters of Engineering with Polymers explain what polymers are, how they behave, and how articles are made from them. The authors then show how the standard engineering techniques of stress analysis, structures, fluid mechanics, heat transfer and design can be adopted or adapted to cover plastics and rubber materials. The book ends with chapters detailing interactions between processing and properties, and a description of a variety of approaches to designing plastics products, from practical advice to the use or further development of theoretical principles, backed up by examples and case studies. The book is aimed at mechanical engineering students and design engineers in industry and also at materials' and chemical engineers.